It's "not just for hookups," Mark Zuckerberg said. Forget about those Like buttons. Facebook is all about true love. The embattled social media company, under fire in recent months over data privacy worries, plans to launch a new dating feature, CEO Mark Zuckerberg announced on Tuesday. 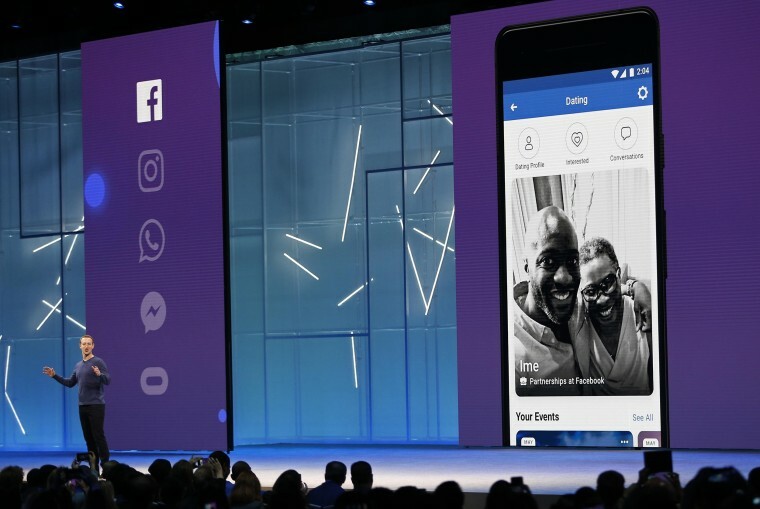 But this feature is "not just for hookups," Zuckerberg said to laughs at the annual F8 developer conference on Tuesday. He wants the tool to help users build "meaningful, long-term relationships." Zuckerberg also nodded to the safety fears that have plagued the company since the Cambridge Analytica scandal, insisting his team had "designed this with privacy and safety in mind from the beginning." "Your friends aren't going to see your profile, and you're only going to be suggested to people who are not your friends," Zuckerberg said. Tinder, a popular dating app, makes a similar pledge to its users. The design mock-ups on the giant screen behind Cox resembled the user interfaces of other dating apps, like Bumble and Tinder. But the Facebook version, Cox said, would be integrated into standard features like events and groups. "We like this, by the way, because it mirrors the way people actually date, which is usually at events and institutions that they're connected through," Cox said. Anyone using Facebook's dating feature would have the option to "unlock" their profile — making it visible to other people attending an upcoming event. The social media giant will announce a launch date for the feature later this year, Cox said. The move was hailed by Justin Rosenstein, the former Facebook engineer who created the Like button. Rosenstein, lately a critic of Silicon Valley, said the idea was "beneficial for the world." "I have a theory that a lot of war and bad things going on are all actually the result of people being insufficiently loved," Rosenstein told NBC News. But many tech industry observers were openly skeptical of the new feature, with some suggesting a platform embroiled in controversies over privacy, hate speech and fake news might not be the perfect place to meet your match. Christopher Wylie, the key whistleblower in the Cambridge Analytica data harvesting case, tweeted derisively about the plans. The new feature, assuming it wins the hearts of average users, could eventually pose a major threat to rival apps, some of which have layered their services on top of Facebook. In a statement, IAC CEO Joey Levin struck a defiant tone and even took a shot at Facebook's troubles with Russian disinformation during the 2016 election. "Come on in. The water's warm," Levin said. "Their product could be great for US/Russia relationships."